Thought for the day…” A smile is a curve that sets everything straight”. Did you read that story on the net about the Israeli restaurant owner near Jerusalem who is offering a 50% discount on your bill if you turn off your mobile phone whilst eating? Apparently the offer has been extremely popular, and I hope that it spreads to other places. Not good to read that soon people will be allowed to use their mobile phones whilst onboard aircraft, so presumably future trips will be marred by people talking too loud and too long. Why do so many people feel the need to constantly use a mobile phone? Off to Iceland for the photo and a picture of the ice flows from a glacier. As the day was overcast then the picture was changed into black & white. 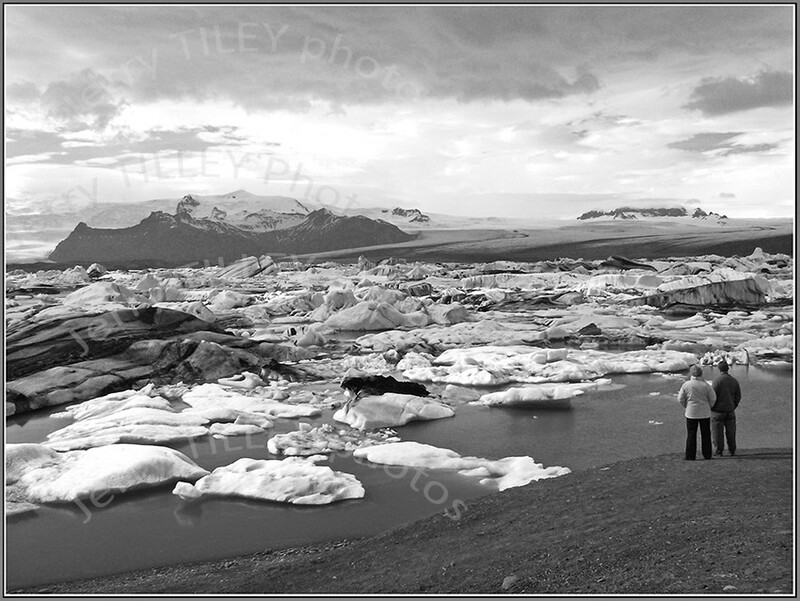 The glacier is visible in the background, and the two people on the right give an idea of the scale. Photo of the Day Sunday 17th March 2013- Not the Quality Spa Resort Hotel, Norefjell. A photo of the Estonian capital of Tallinn, bathing in some clear winter sunshine. With a population of about 420 000 people, it was previously called Reval until 1917. 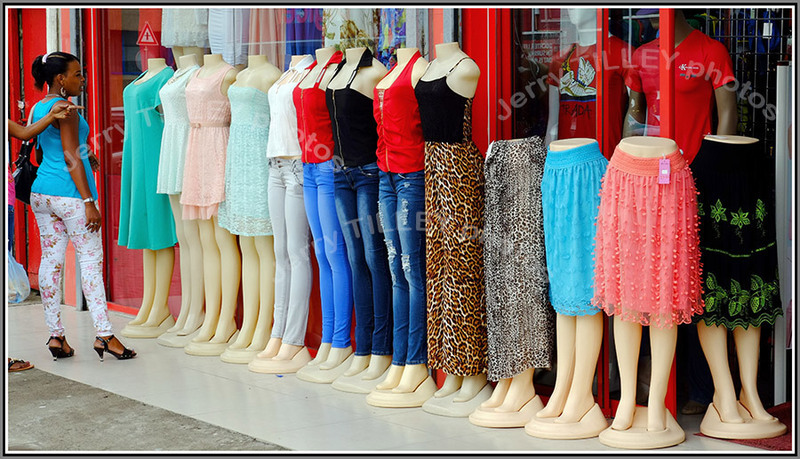 About 50% of the population speak Estonian, and around 46% speak Russian. It became independent from the Soviet Union in 1991. Skype originated here, and has a software development centre in the city. 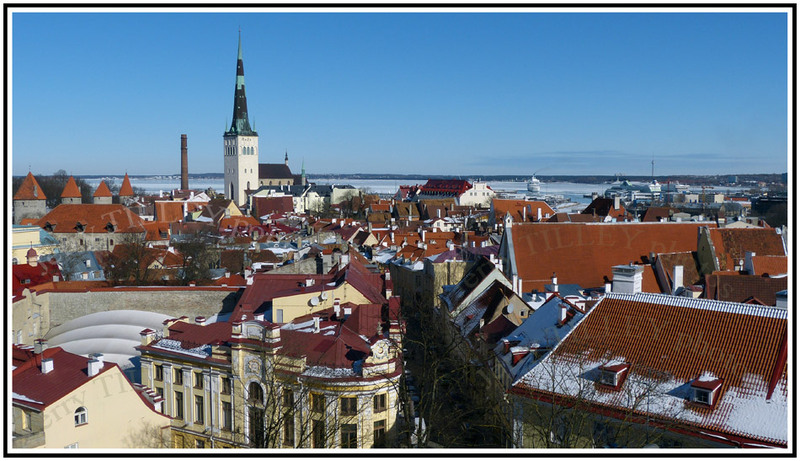 Estonia ranks as number 2 in the world for adult literacy, with a figure of 99.8%. Interestingly, only 46% of the population of Estonia is male, so there is a shortage of men there !! Photo of the day Thursday 7th February 2013 – Not the Quality Spa Resort Hotel, Norefjell. Yesterday, 6th February was Waitangi Day in New Zealand. It is a public holiday held each year to celebrate the signing of the famous Waitangi treaty, which made New Zealand part of the British Empire. There is still a lot of argument over the true translation of the treaty, and the celebrations at Waitangi have often been accompanied with minor troubles and protests. Waitangi Day is also the same date as Bob Marley’s birthday. As Waitangi Day falls in the hottest part of summer in New Zealand, then many people use the extra public holiday to visit the beach. 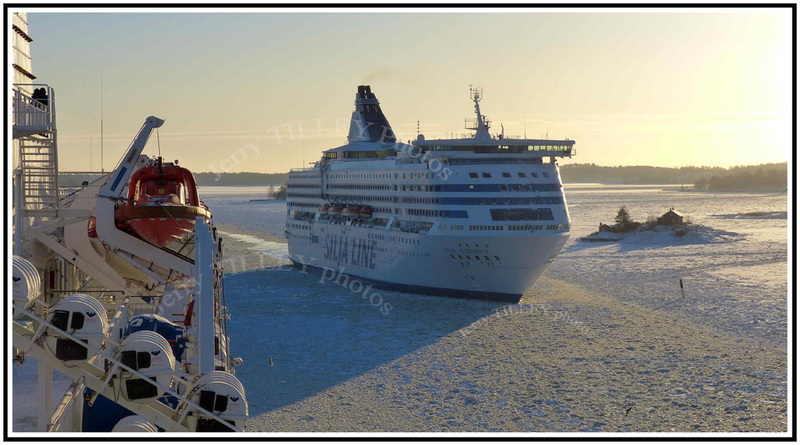 Some winter sunshine in the photo today of the Silja Symphony boat arriving in Helsinki Finland. The temperature was around -15 degrees at the time. Photo of the Day Sunday 27th January 2013 – Not the Quality Spa Resort Hotel Norefjell. “Common sense is like deodorant, the people who need it most never use it”. 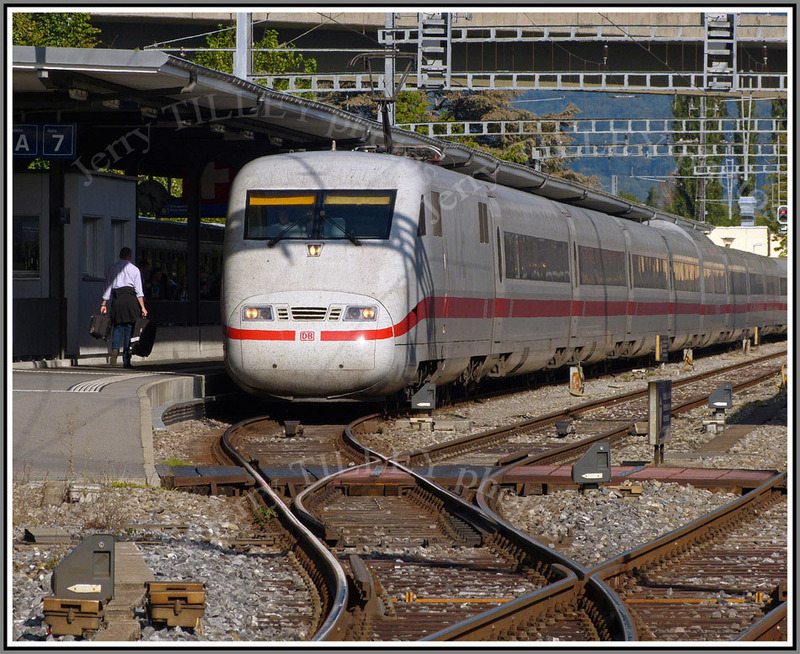 A photo today of a German ICE express train, seen here at Interlaken station in Switzerland. Something of a success story for Siemens who build the train, as similar versions are now used in Spain, Russia and China. At one time, an ICE train held the world train speed record of 406.9 km/h. Between 1991 and 2006 ICE trains have carried over 550 million passengers, and have perhaps Europe’s most comfortable interiors. Photo of the Day Saturday 26 January 2013 – Not the Quality Spa Resort Hotel, Norefjell. Thought for the day…” Change is inevitable, except from a vending machine’. I am still waiting on a reply from KLM/Air France, from their ‘customer service’ section. They just ignore email after email, and do not want to sort things out. The good thing is that they will lose out, as no further bookings will be made with them until they do sort it out. Bad customer service drives customers away, precisely what KLM/Air France are doing. I look forward to reading about them in the bankruptcy courts. I will vote with my money. 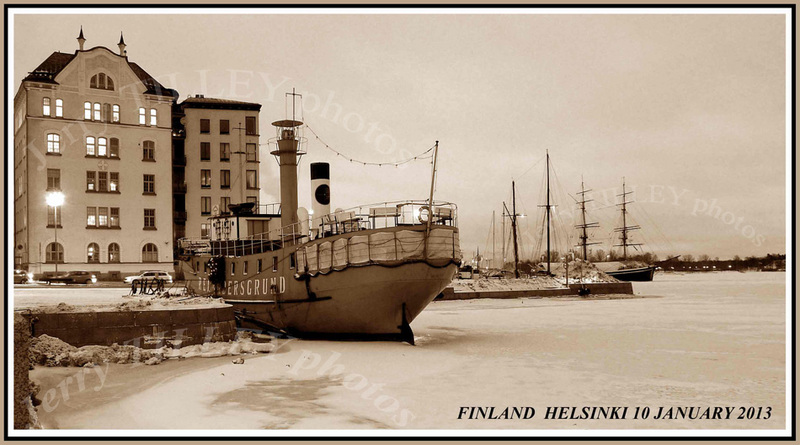 A cold day in Helsinki, Finland for the photo today, and photo of the Tallink Silja (an Estonia company) Silja Symphony arriving through the ice. Sea water freezes at between -2 and -4 degrees, depending on how much salt there is in the water. The ship (built in 1991) is 58 377 tons and carries up to 2852 passengers between Stockholm, Sweden and Helsinki, Finland, and has a top speed of about 43 km/h. Photo of the day Wednesday 16th January 2013 – Not the Quality Spa Resort Hotel, Norefjell. Did you know that the world’s largest shopping centre (based on total area) is in Dubai (not surprisingly called ‘The Dubai Mall) with 1200 shops. 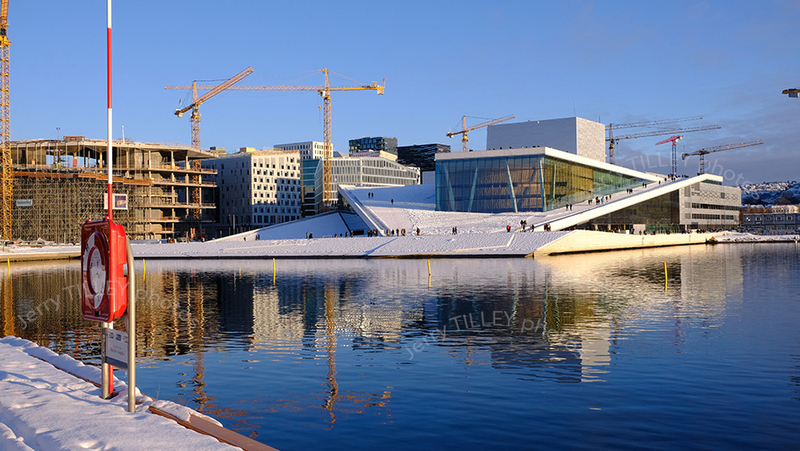 In 2011 it had over 54 million visitors. (As a comparison, Niagrara Falls receives an estimated 22.5 million visitors a year.) It includes a 250 room luxury hotel, 22 cinema screens and also parking for 14 000 cars. It also contains the world’s largest sweet shop (Candylicious). 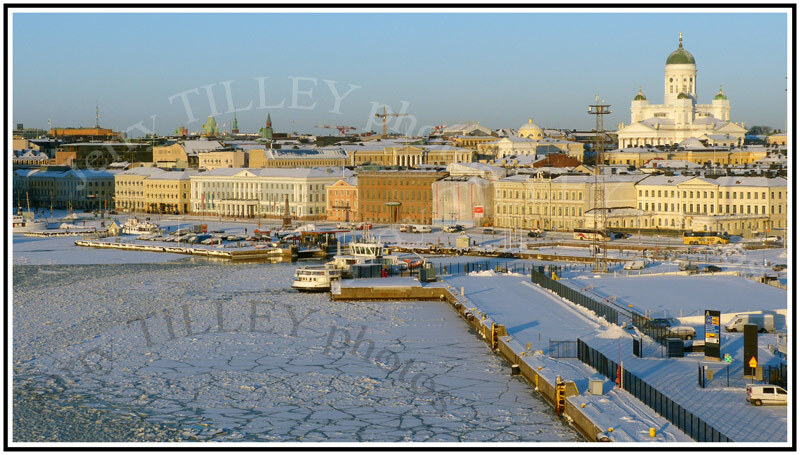 A winter’s day in Stockholm, Sweden for the photo today with ice forming on the Baltic Sea. 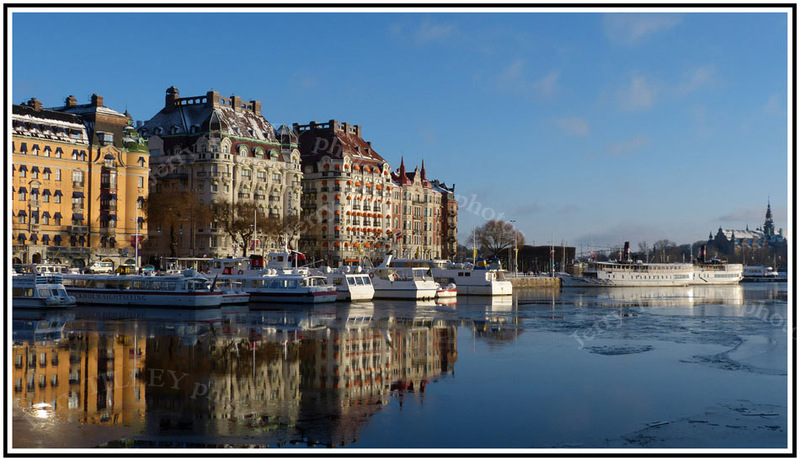 From here, boats ferry passengers to the islands outside of Stockholm, although things are very quiet at this time of year., Temperatures in Sweden at this time can fall to below -30, although Stockholm was around -5 degrees when the photo was taken. Photo of the Day Friday 4th January 2013 – Not the Quality Spa Resort Hotel, Norefjell. ” Don’t Allow yesterday to spend too much of today “. Did you know that divorce is legal in the world except for the Philippines and Vatican city. And did you know that the cashew is in reality a seed. Native to Brazil, the cashew is the seed of a cashew apple and contains a poison in its shell similar to poison ivy. So the shell has to be removed before it can be sold. And more trivia….The Vatican Bank is the world’s only bank that allows ATM users to perform transactions in Latin. Interestingly, Radio Finland broadcasts a program in the latin language as well. 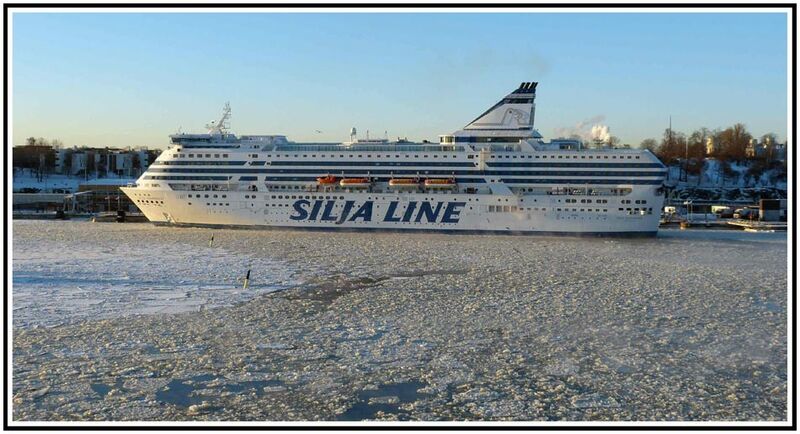 That leads nicely to the photo of the day, the Tallink Silja Symphony ferry seen here in the ice in Helsinki harbour, Finland. When new, it was the largest passenger ferry in the world, weighing in at over 58 000 tons. It was photographed here shortly before its departure overnight to Stockholm, Sweden.